Basil Pesto (for breakfast) | Naturally. I’ve noticed recently my blog has been taken over by sugar (and lots of it!) This post is here to remedy that by talking about healthy foods in the form of breakfast. I am a breakfast eater. I never use to be until I really focused on loosing weight. Now I realize breakfast is a a huge part of my day. If I don’t eat breakfast, I loose focus by noon. Now, by breakfast I don’t mean a muffin or some other sugar pastry. I lived on those when I worked at the bakery and that meant me crashing when I got home in the morning. Bad news. So, I eat egg whites and lots of them. 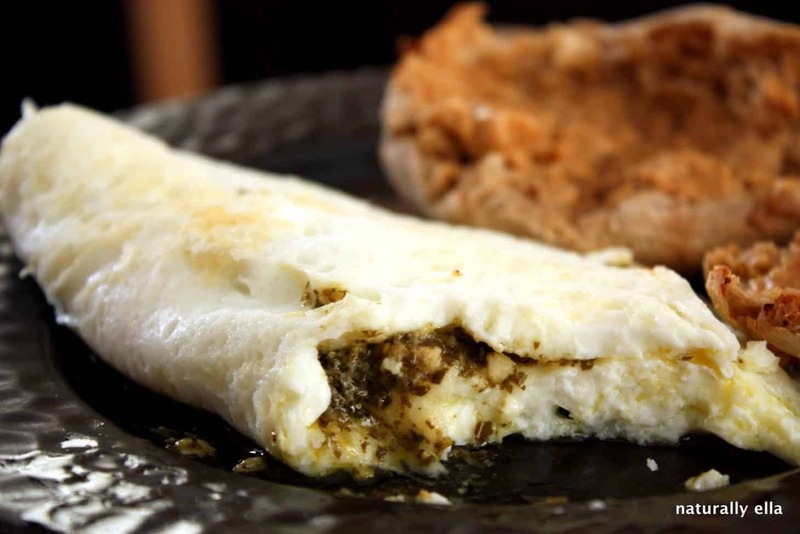 Don’t get me wrong, I have nothing against the yolks (just never liked the taste- we think it is hereditary…) My breakfast of choice is an egg white omelet where the possibilities are endless and this weekend, I discovered one more possibility that I really, really love. Combine all of the ingredients, minus the olive oil, into a food processor. Pulse to combine. Begin to pour in olive oil and continually pulse mixture- the goal is not to liquefy but have all the ingredients finely chopped. Store in an air tight container. Mmm.. that sounds delicious.. However, we did make crepes the other night that I need to post about!